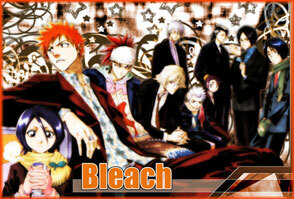 Bleach follows the life of Ichigo Kurosaki, a 15-year-old high school student with the ability to see ghosts, and a shinigami (Soul Reaper or, literally, "death god") named Rukia Kuchiki, who crosses paths with him one day while searching for a hollow (an evil spirit). During the ensuing confrontation with the spirit, she is wounded and forced to transfer virtually all of her powers into Ichigo. Thus the adventures of Ichigo and Rukia begin. Together they search for hollows and perform soul burials on wayward souls, cleansing the spirits and sending them to Soul Society.